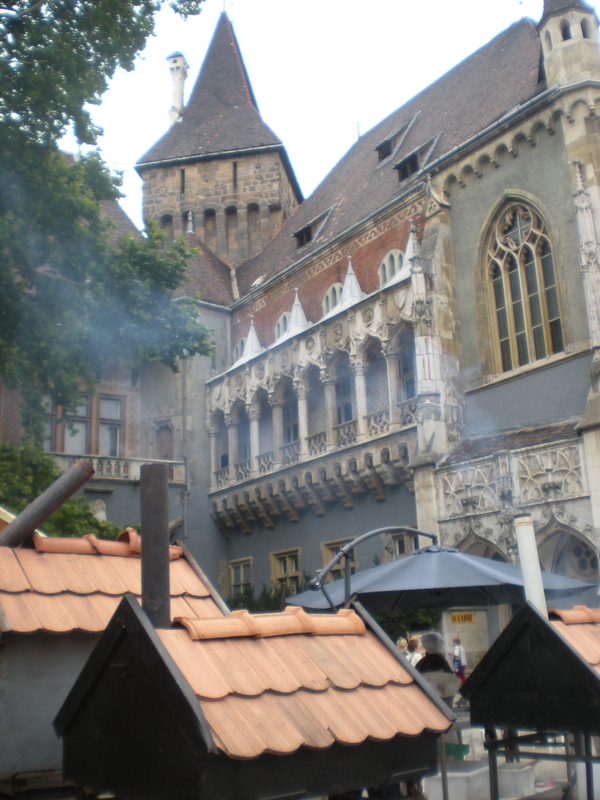 Despite the threat of rain and intermittent sprinkle, we decided to go to Vajdahunyad Castle last Saturday for the Traditions, Flavors, Regions festival. I don’t know if it was because technically Saturday was an official work day (since everyone got off for August 20th) or because of the rain, but there were very few people there, which made it quite enjoyable. 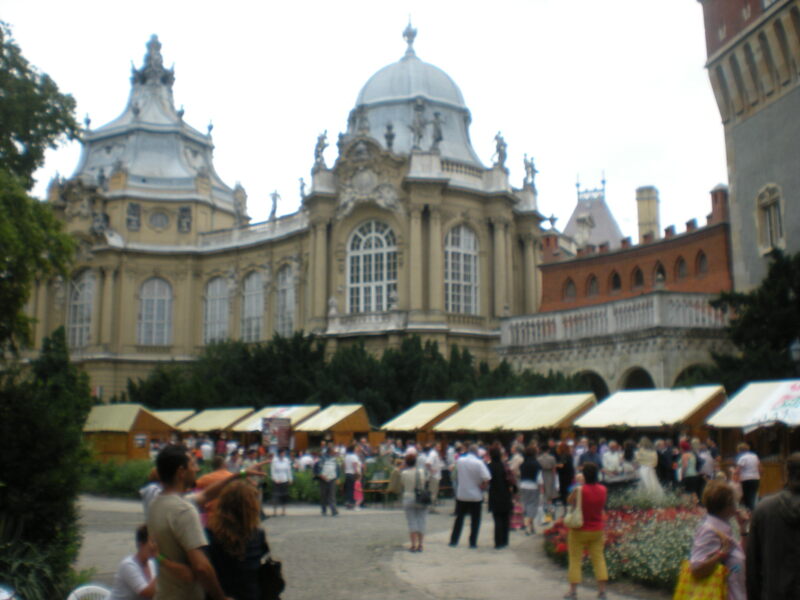 The Vajdahunyad Castle was built toward the end of the 19th Century for the celebration of the 1,000th anniversary of Hungarians coming to the Carpathian Basin. To know a little bit more about it, and see some kind of ominous, wintery pics of it, check out my previous post from February. 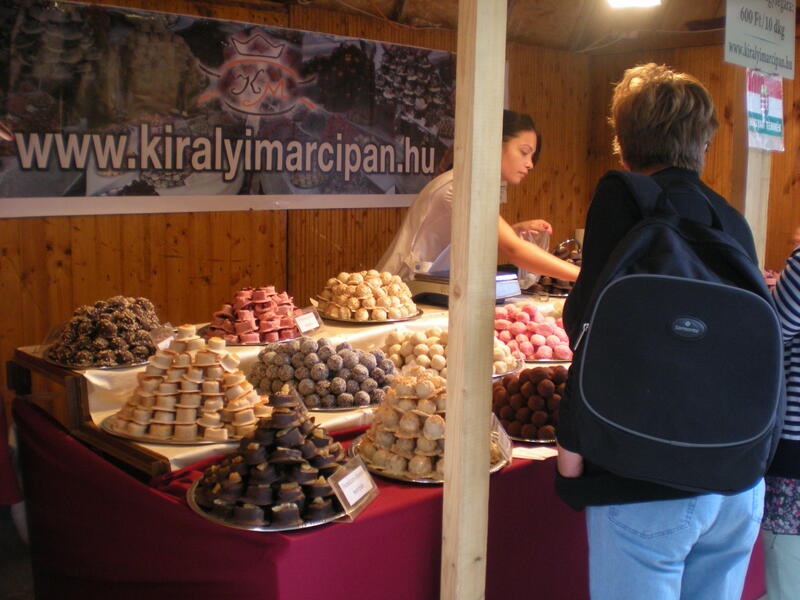 It was a strictly gastronomy event and the purpose was to showcase local Hungarian specialties and shops. 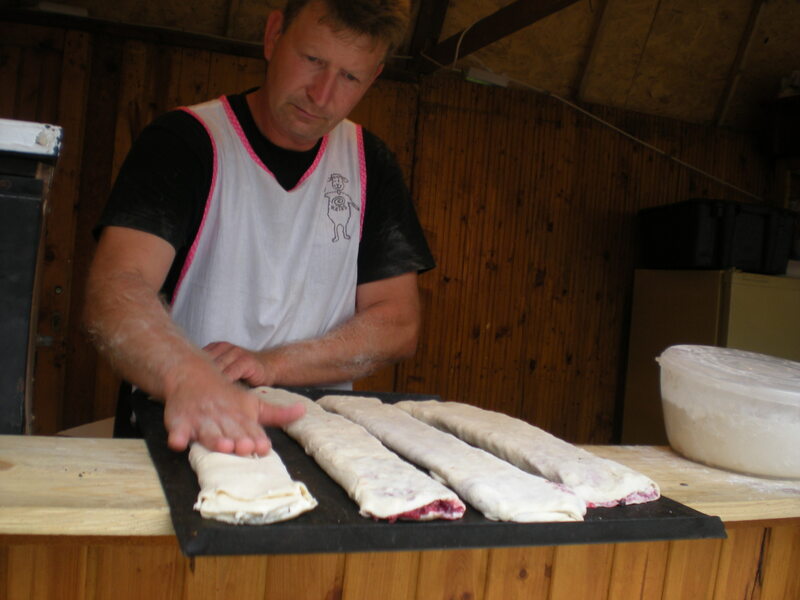 Pasteries, meat, cheese, wine, were among the typical items at booths. 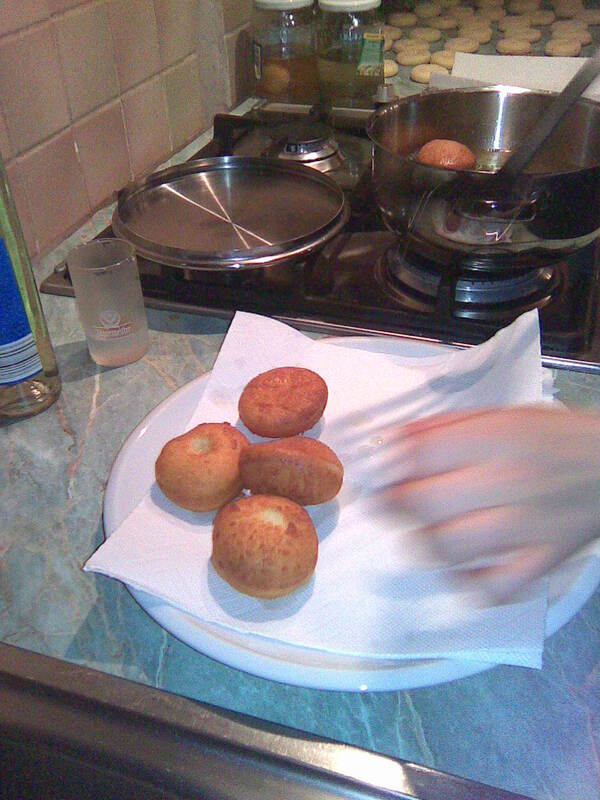 Also beer and pálinka of course. 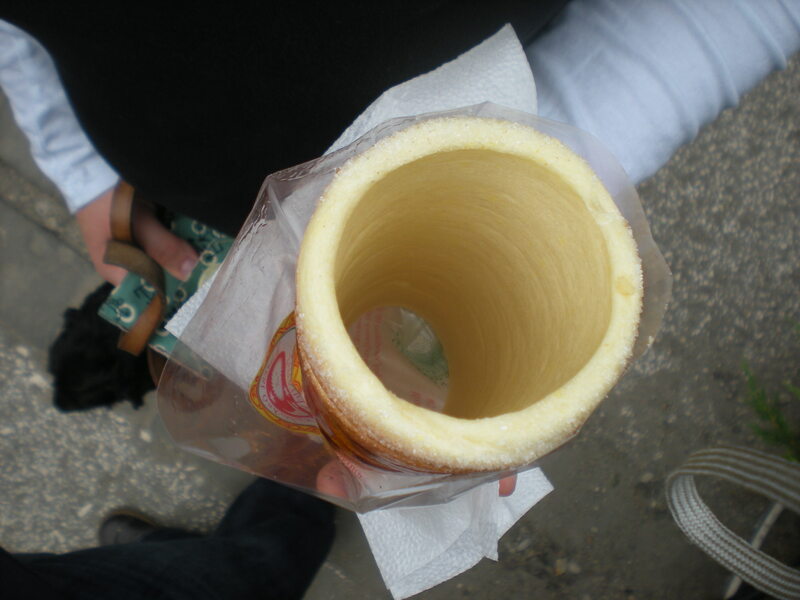 Györgyi had a poppyseed strudel (rétes) and I had my absolute favorite fair food—kürtőskalács. 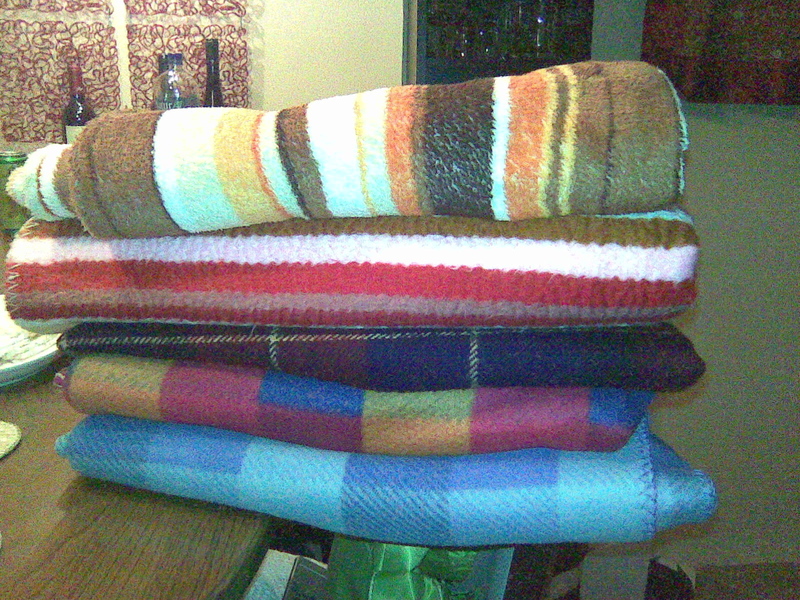 I simply can’t resist these little babies. 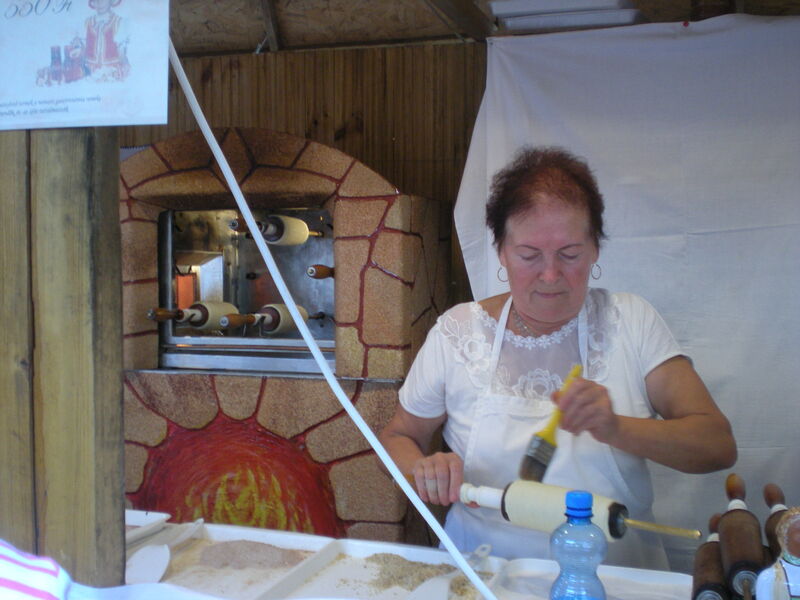 When I see sweet dough being rolled around an open flame and then covered with sugar or cinnamon or nuts of vanilla, I just can’t say no. I don’t think I’ll ever be able to. 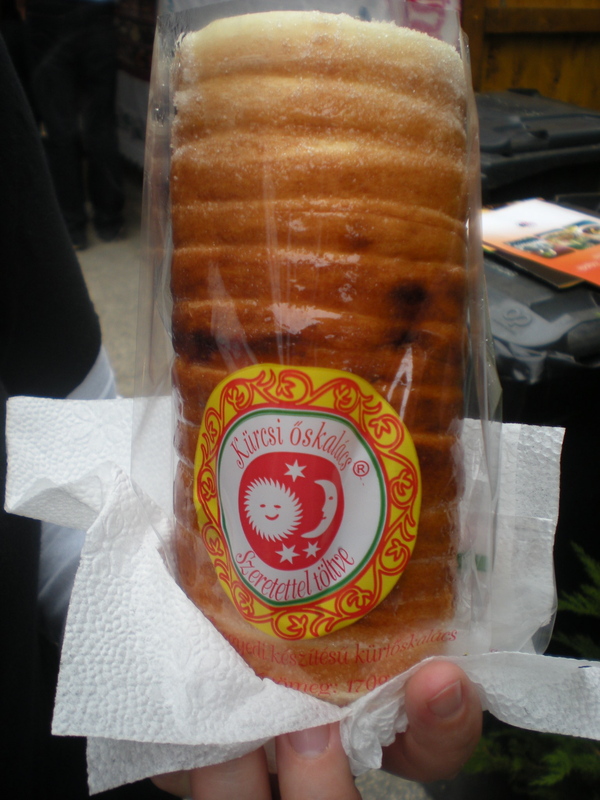 There was someone else in attendance who also couldn’t say no to the kürtőskalács. So while it wasn’t like the huge wine festival (happening next weekend, by the way), it was a cute little culinary treats event, and I’m glad that we went. 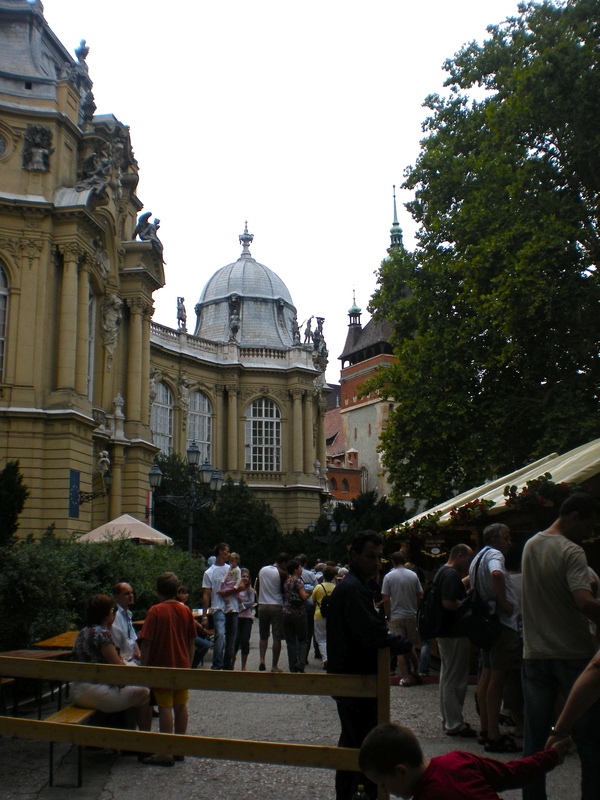 The ticket price was 400 forints ($2) or 600 forints ($3.50) for additional entrance into the Museum of Agriculture. 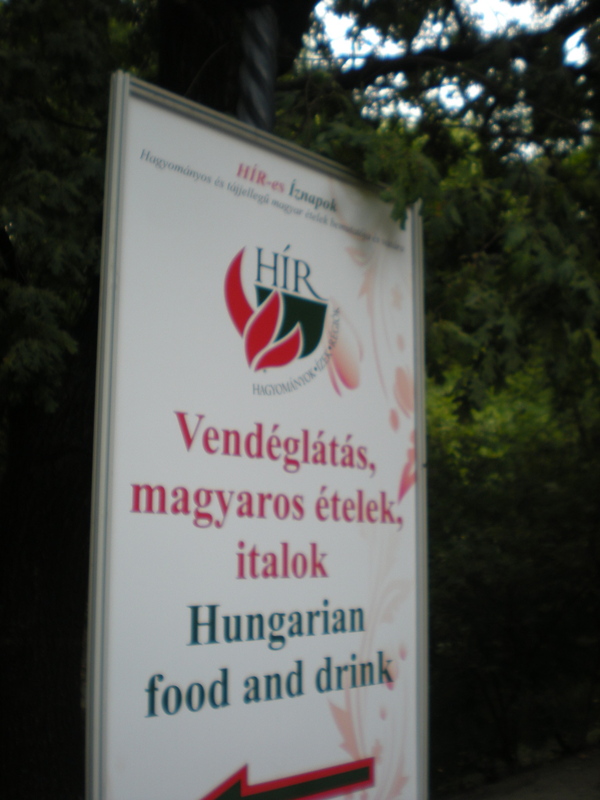 Plus at the entrance booth they gave away two free Hungarian cookbooks with each ticket and a fridge magnet. After the castle, we went home to rest for a bit before heading to Zsolt and Szilvi’s place for garden movie party night. 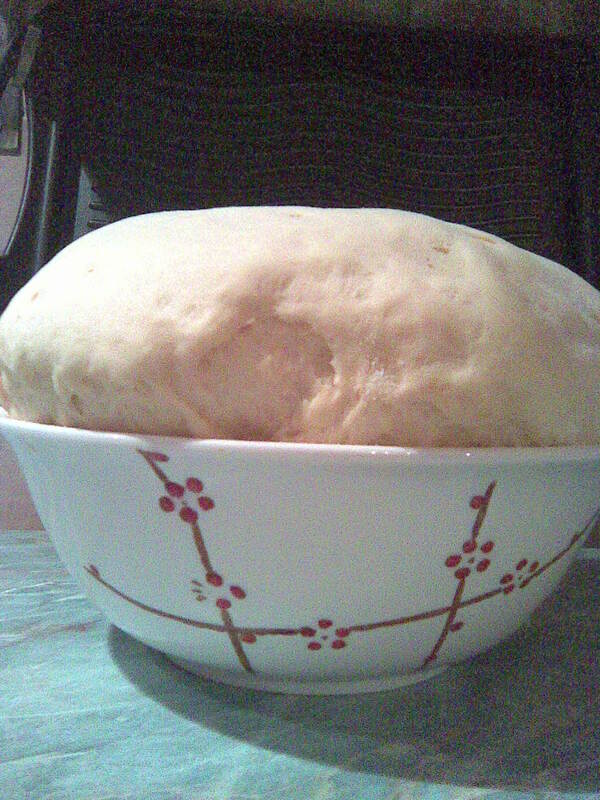 I noticed the rising dough when we arrived. 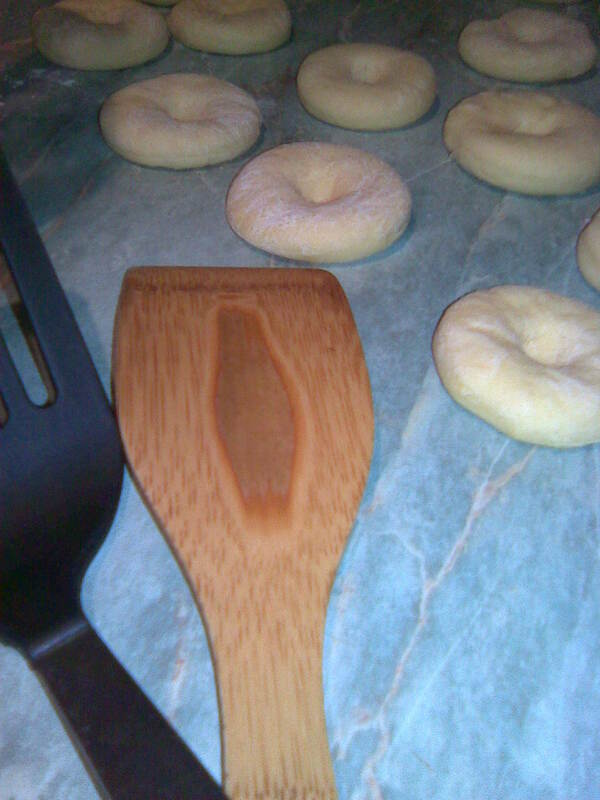 I have like a sixth sense in tracking down and locating dough. I wish this was a marketable skill because I would make a fortune. Anyway I didn’t know exactly what it was for and whispered my question to Gy who whispered back, “fank”. I instantly recognized the word. DONUTS!! 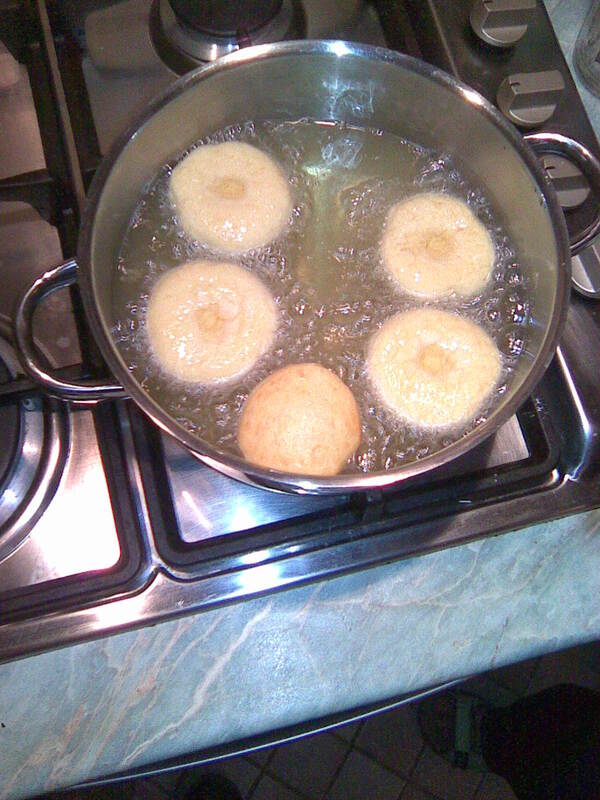 My grandma used to make these style donuts every year on Fat Tuesday. 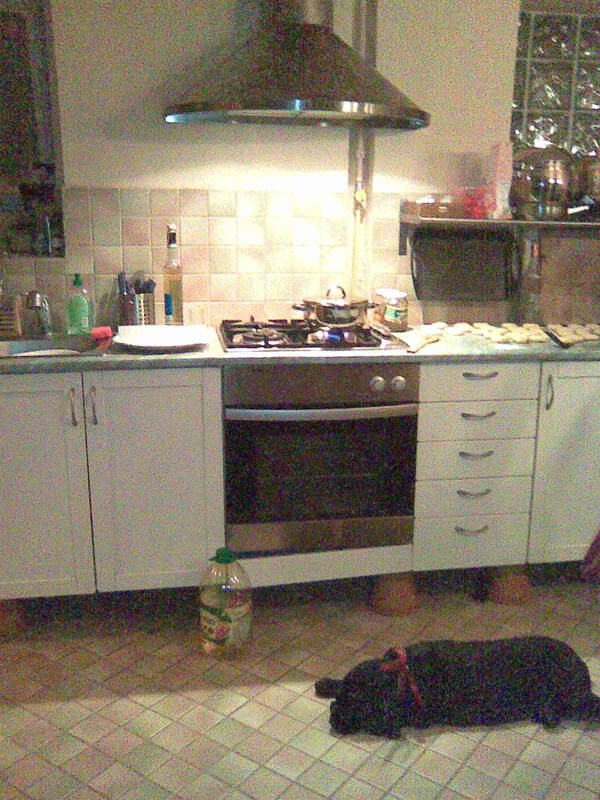 The smell of the oil and dough is one of those really comforting and happy sense memories I have of my childhood. And Szilvi did a fantastic job with them, serving them to us outside with sides of various flavored jams. Györgyi loves fanks, and she probably wouldn’t want me disclosing this to you, Internet, but I think she ate six or seven. 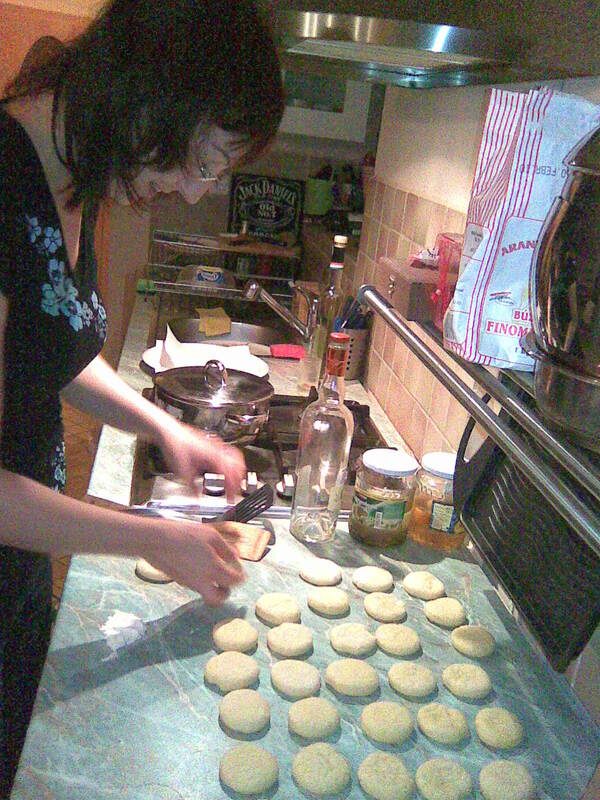 Good for her, I say, especially because since I don’t have the patience to wait for dough to rise, I’ll probably never make them. It really was the perfect night. 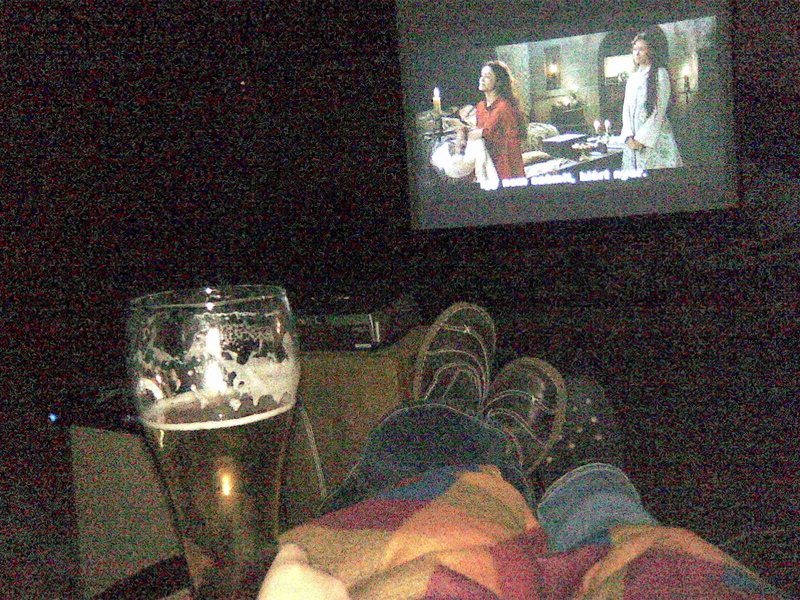 We grabbed the blankets and went outside to watch the movie. The air was cool, almost chilly, from the rain and the first breezes of fall. Great food and drinks and even better company (Zsolt, Szilvi, Jani, Emese, Nóri, and Györgyi). 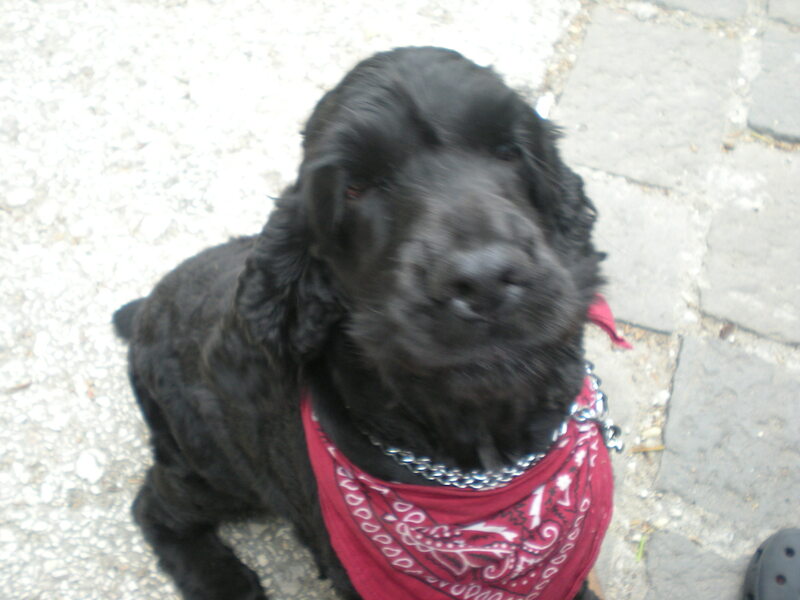 Even Barnabás stunningly made peace with Zsolt’s cat Marzipan. It’s these simple little moments that make me glad to be back in the Buda. Dear Internet bácsi. I didn’t eat that much. Because it was too dark, Jes wasn’t able to see, the donuts. I only ate about 3… But really not more than 5. JES. We gotta talk. Khm. Actually, I think that Barnabas had the most because he was in there for a long time with Szilvi and his beard was covered with donut crumbs. He could have had 10, who knows! !